Courtesy of Facebook, Jacques Lamontagne reports that Aspic Tome 2: L’or du vice (which was released last week) is already on it’s way back to the printers for a second printing! 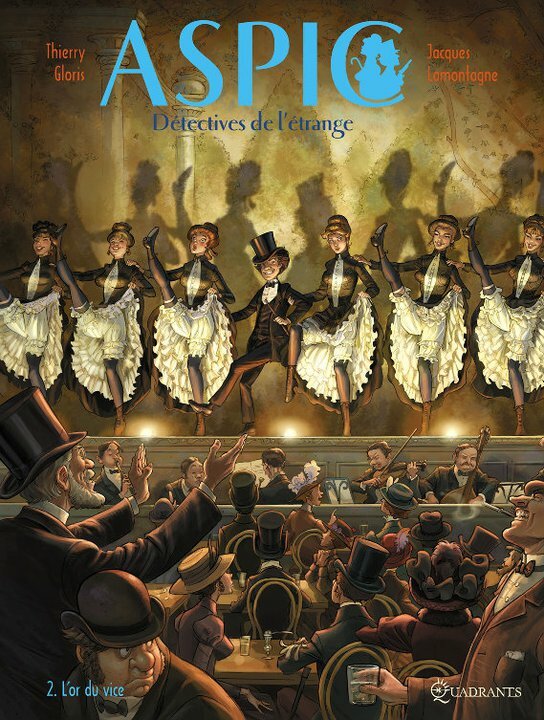 The first volume (which has earned Jacques another JSA nomination for Outstanding Artist/Dessinateur and in the Cover Artist/Dessinateur Couvertures) is going back for a fourth printing. Congratulations Jacques! On fait rouler les presses! On vient de nous informer que l’on doit réimprimer le tome 2 d’ASPIC, et ce, une semaine après sa sortie. De plus, on en profitera pour imprimer un 4e tirage du tome 1.